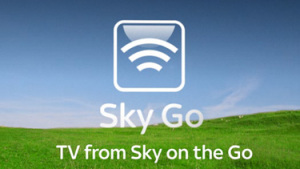 In an attempt to further entice their subscribers to using their spin-off mobile TV service Sky Go, the UK region’s leading satellite broadcaster Sky have announced an addition of no less than 14 new entertainment networks to their streaming selection, one which they claim now give it the ‘widest range of entertainment channels’ that any operator provides in the market. The selection of channels, available to Sky subscribers holding compatible devices along with a 3G, 4G or Wi-Fi signal for streaming purposes, will bring their total number of channels on offer up to 57, through a platform primarily focused on their own-brand ventures (such as Sky Movies and Sky Sports), but now branching out even further for alternative offerings. Amongst the shows that will be featured prominently under this deal are said to include Watch’s Dynamo: Magician Impossible and MTV reality series Geordie Shore. Speaking of the increased coverage, Sky’s ‘brand director of TV products’ Luke Bradley-Jones stated: “Sky Go has gone from strength to strength since it launched in July 2011 and now attracts over 3 million unique users quarterly. Having been boosted in recent times with an average of 3m on-demand streaming requests per week (and 219,000 having upgraded to the higher-banded ‘Sky Go Extra’ service in the previous quarter), Sky’s mobile offering is going from strength to strength, but will high numbers be able to cover up recent key losses in content?